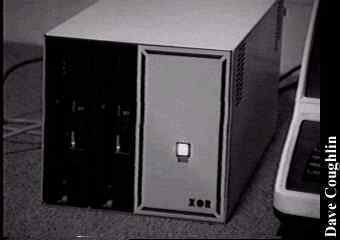 One computer that I don't see in your collection is the XOR CP/M computer that I found in a basement. I have the manuals for it and the full schematics (wow) and this one is dated around 1982. I have it connected to an ADDS Regent 25 terminal with a null modem rs232 cable (9600 baud) . There is also a parallel port on the back and another serial port. This one has 2 8" floppy drives, and I bought the last box of 8" floppies I could find in town ! (I think the store owner was glad to see them go...) I believe these computers were sold as a kit and you could pick components that you wanted. I have included a bad picture of the guts. The XOR CPU was developed in 1977 and since then has undergone numerous design changes to take advantage of advancements in technology, and to conform to the IEEE 696 S-100 standards. 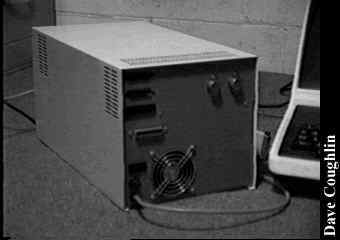 A typical personal or business computer can be configured with only three boards and a mainframe power supply. Board can now be used as a network slave or master. 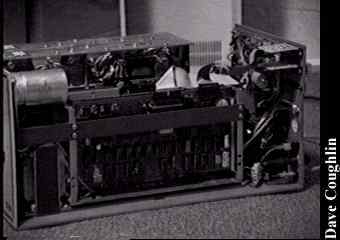 This was taken from the XOR Data Science, Inc CPU Operation Manual. How about them specs ! P.S. 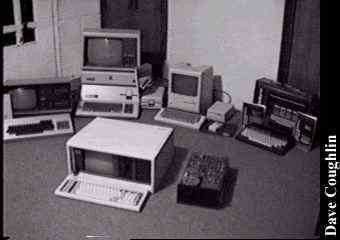 A shameless plug: I am looking for an Apple LISA/XL for my almost complete MAC collection - If you ever come across one running or not, and don't want it, PLEASE email me ! Click here to view all comments for the Data Science XOR and to leave your own. 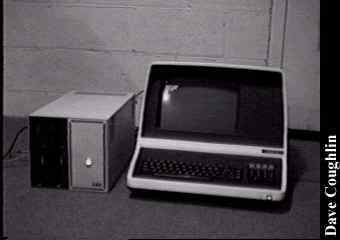 Click here to view comments about other Data Science computers.